Brand-new web sites with new domain names seem to have a delay before they get top rankings on Google. Why does Google do this and what you can do about it. Based on information gathered by numerous web masters and Search Engine Optimization experts, in general, brand-new web sites with new domain names seem to take about 6 – 8 months to get top rankings on Google. The usual process is that Google indexes the new web site, lists it for some less important queries and then the web pages drop from the search engine result pages for several months. Although other search engines work fine, Google doesn’t list the web site, sometimes not even for the company name. If you have a brand-new web site, don’t worry about this behavior. You are not doing anything wrong. Google seems to delay the inclusion of new web sites. 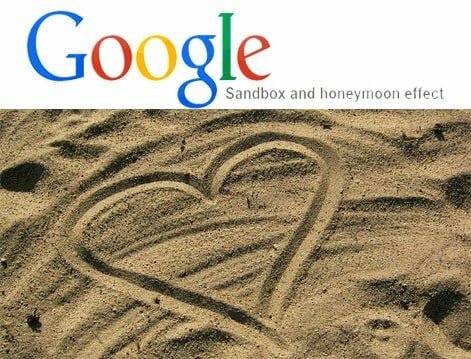 This phenomenon is called the Google Sandbox. It seems that Google is trying to encourage webmasters to build content instead of building mini-networks. By delaying the ranking of new web sites, this mini-network strategy doesn’t offer a quick jump to the top anymore. The delay might encourage webmasters to focus on the content of their main web site instead of building useless mini sites. If you have a new web site, have in mind that it is possible that your web site will be listed after a 6-8 months delay in Google. This does not seem to always be the case, but it is possible it will happen with your site. Add content to your web site, get good incoming links and make sure that your web pages are optimized for Google. Please see our Web Design, Search Engine Optimization and Digital Marketing programs. The 6-8 months delay seems to start with Google’s first contact with your web site. The sooner Google knows about your web site, the sooner it will be listed. Google Analytics and other tools offer comprehensive web statistics, which reveal when Google is visiting your site and how much information is downloading.